While down from its peak, Gallup’s U.S. Economic Confidence Index has trended upward since 2008. Research from The Conference Board indicates that economic momentum created in 2017 will support robust growth in 2018. Open positions are taking longer to fill. Data from DHI Hiring Indicators shows that the average mean vacancy duration remains near historic highs for our economy, signaling tight labor market conditions. Voluntary quits are on the rise. Bureau of Labor Statistics’ data indicate that quits have increased steadily since September 2009, and have now surpassed pre-recession levels. Reactionary hiring just doesn’t work. What does? Research from the National Center for the Middle Market shows that talent planning is great for business. In fact, high-growth companies are significantly more likely than slower-growing organizations to say that they do a great job with their talent-planning initiatives. Today’s A-players are gainfully employed and not necessarily looking for new opportunities. As a result, effective recruiting takes more time and effort. Proactive workforce planning allows you to deploy human capital more effectively. A sound plan increases your team’s flexibility and responsiveness, while providing a framework to allocate finite resources to the right efforts. Accurate forecasting gives you more time to create strategies for building your ideal workforce – one with the people capabilities to meet your goals and sustain competitive advantage. Align your workforce and business strategies. Profitability is inextricably linked to recruiting, talent deployment, retention and development. By embedding your HR processes within your organization’s overall strategy, everyone is invested in having the right people, with the right skills, in the right roles, at the right time. Over time, aligning talent-planning with strategic goals increases productivity, fuels innovation, cuts labor costs and reduces time-to-market. Strategic talent management prevents knowledge loss and enhances succession planning. Talent planning gives high performers a place to grow – and become even more valuable to your organization. Integrated talent-management processes encourage company-wide information sharing, ensuring employees know where they fit into, and impact, the big picture. These advantages combine to create actively engaged talent – people who exert more discretionary effort and have greater potential for innovation. No matter what your goals are for 2018 – growth, innovation, employee retention or capitalizing on new opportunities – a sound workforce and talent management plan can help you get there. By taking a proactive approach to staffing, you can access better talent, eliminate bottlenecks that impede success, and dramatically improve your ability to thrive in today’s economy. Ready to create a talent plan that boosts your bottom line and ensures long-term success? A professional staffing and recruiting partner can help you create a strategic plan to ensure you have flexible, on-demand access to high performers who will help you reach your goals. 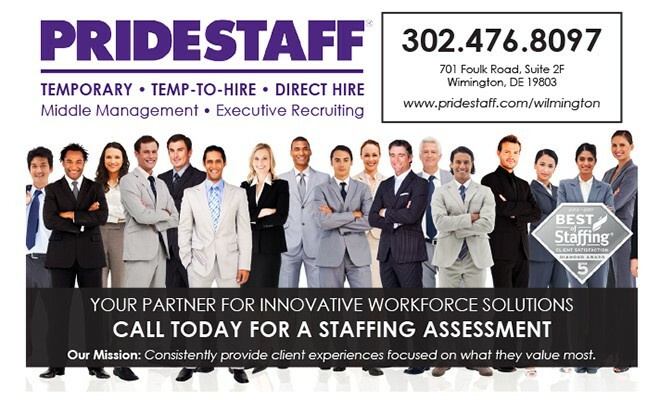 302-476-8097 or email us at Wilmington@pridestaff.com. Monica Eboda brings over 25 years of relationship management, executive coaching and leadership experience in the Financial Services Industry, to her role as Owner/Strategic-Partner for PrideStaff Wilmington. She helps clients drive growth and profitability by identifying business opportunities, developing effective solutions and leading execution. 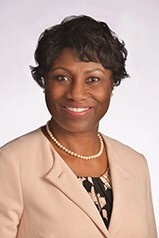 Having dedicated much of her career to recruiting, growing and retaining top talent, her collective experiences have taught her how critical hiring exceptional people – individuals who are a great fit for both job requirements and company culture – is to an organization’s success. Next Story → Looking For A Way To Improve Collaboration Or Just Say Thank You To Your Team?